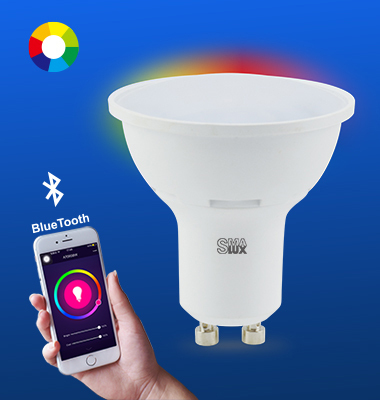 SMAlux Indoor Smart Light Bulb include A19 Smart Bulb, A21 Smart Bulb, A60 Smart Bulb, A70 Smart Bulb, BR30 Smart bulb, G120 smart bulb, C35 Smart bulb and GU10 Smart Bulb. 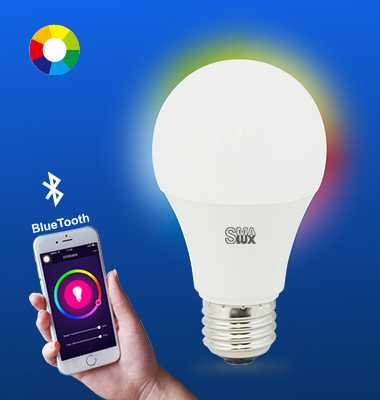 SMAlux indoor smart light bulb focus on WiFi bulb and Bluetooth Bulb. The advantage of WiFi bulb is widely used all over the world without distance limited. The user also can share a device with your family or friends. 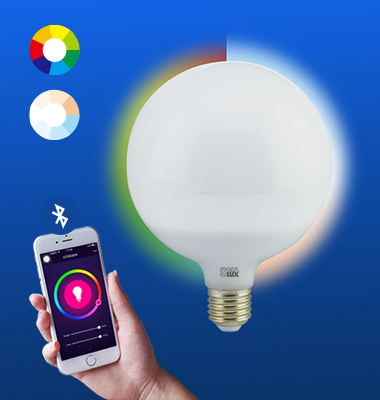 The advantage of Bluetooth bulb is Good stability, High safety, and fast data transfer. 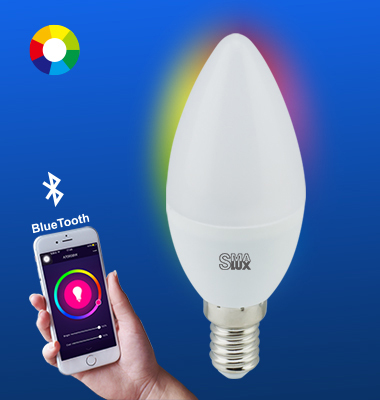 SMAlux Indoor Smart Light Bulb use durable and thermal resistance PC and aluminum material, it suitable for hotel, cafe, office, restaurant, basement, living room, ceiling, bedroom, home, and hospital etc. 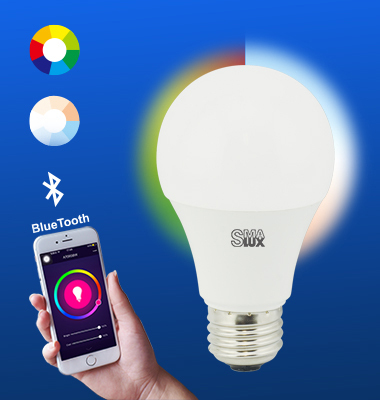 SMAlux Indoor Smart Light Bulb can be connected by Wi-Fi network or Bluetooth. The difference between WiFi bulb and Bluetooth Bulb is a connection. Wi-Fi bulb required Wi-Fi internet to connect, but Bluetooth bulb not required Wi-Fi internet to connect. Under Bluetooth connection, SMAlux Indoor Smart Light Bulb would require an extra hub for voice integration when interfacing with Amazon’s Echo and Google’s Assistant from Google Home. 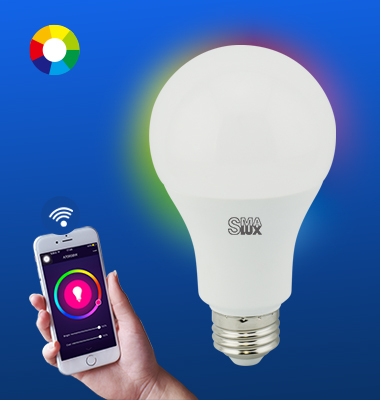 For SMAlux Indoor Smart Light Bulb that connects to Wi-Fi directly, there is no hub required when using voice command. When voice control is activated, whether through Wi-Fi or Bluetooth, SMAlux Indoor Smart Light Bulb enables the users to enjoy a hands-free experience when operate. Once connected, SMAlux smart bulb can be operated from smart devices or voice command through Amazon’s Echo and Google’s Assistant from Google Home. 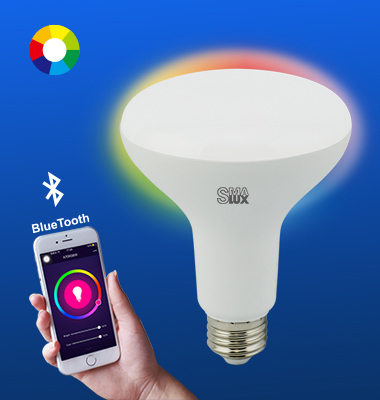 SMAlux Smart Bulbs uses voice command on Amazon’s Echo or Google Assistant to execute specific customizable functions. Our understanding of safety standards all over the world allows to produce products that would meet your country’s safety requirements. Already acquired more than 5 years of experience in manufacturing smart lightings. SMAlux Indoor Smart Light Bulb lets the users discover the combination of 16 million colors available to create ambient or decorative lighting scenes with the ability to adjust between soft white (2700K) and daylight (6500K) options to either focus on productivity or help on relaxing. 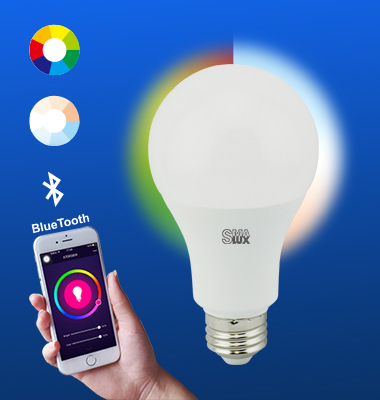 SMAlux Indoor Smart Light Bulb have time schedule function so the users can preset a timing to turn on/off automatically. 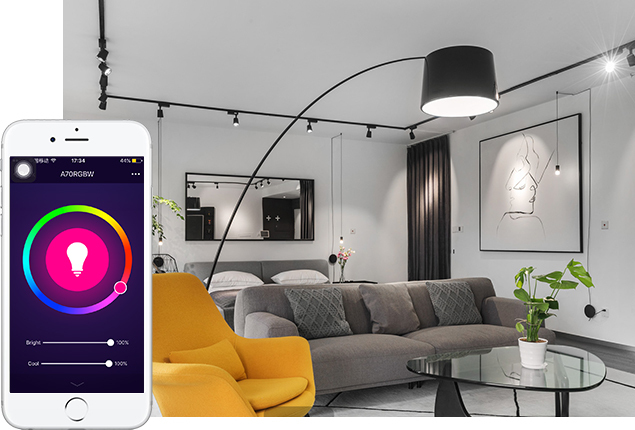 SMAlux Indoor Smart Light Bulb can be controlled from anywhere with internet connection, therefore, the users can come back home with a bright house without worry about darkness or searching for wall switches. In order to control SMAlux Indoor Smart Light Bulb on smart devices, the user can simply download and then install the SMAlux app from the app store or google play. 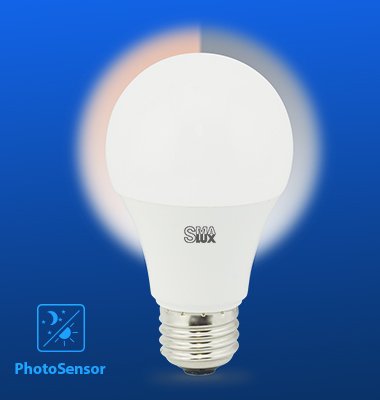 SMAlux Indoor Smart Light Bulb is ISO9001, SA8000, and ISO14001 certified. CE Lighting with 5 years’ smart lighting manufacturing experience, have sold over 500,000pcs of smart LED bulbs in EU and US market these years. The company has pride with over 500 patents domestically and abroad, capable to provide the top quality and competitive price for a better win-win business. Inquiries are warmly welcomed and will be replied quickly.